AVANZAR was created in Zurich, Switzerland in 1999 as an initiative to help the development of a specific project: The Single Mother‘s Home in Cuenca, Ecuador. 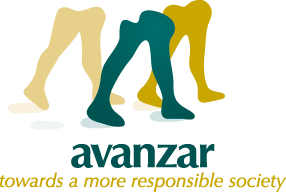 Today, AVANZAR works with various humanitarian and development programs in favor of underprivileged mothers, children with illnesses and their relatives. Since its foundation, AVANZAR has been operating thanks to the donations of individuals and institutions and with the support of both administrative and operative volunteers. Margarita (1971) is Ecuadorian and has been living in Zurich since she got married to Pascal Forster in 1995. Before she had her two children Nicolas and Nina, she worked in Human Resources and Marketing, both in Ecuador as well as in Switzerland. Margarita is Avanzar's founder and since it's beggining in charge of fund-raising as well as the coordination of the programs in Ecuador. 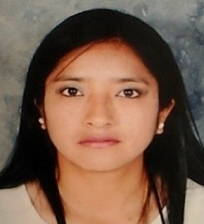 During her frequent trips to Ecuador to visit her family, Margarita works at AVANZAR’s office and regularly visits the various programs in order to be up to date with the work in progress. Pascal Forster (1967) is Swiss and graduated from the University of St. Gallen, Switzerland with a degree in Business Management. He is managing partner of the Zurich office of Kienbaum Consultants International GmbH, a leading executive search firm. 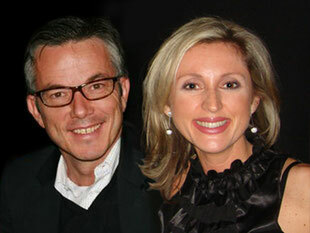 As Margarita’s husband, Pascal works for AVANZAR mostly from Zurich coordinating the marketing activities. 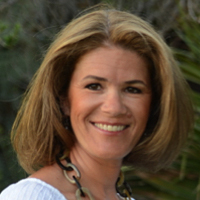 Vivian has been working with AVANZAR as a volunteer almost since its beginning and has been on AVANZAR’s board since 2007. Her main function is the design, programming and maintenance of AVANZAR’s homepage. Vivian is half Swiss, half Ecuadorian. After graduating as a graphic designer in Ecuador, she moved to Switzerland in 1991 to work and study to become a multimedia producer. She currently works as a freelancer, is married and has 3 children. 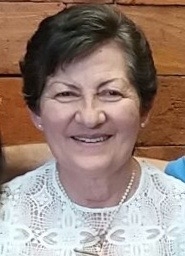 Rosa is Margarita’s mum and lives in Cuenca. 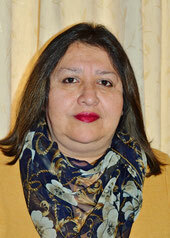 She is the legal representative of AVANZAR in Ecuador as well as the local administrator of AVANZAR’s funds. Since her retirement from her former activities in 2015, she meets with AVANZAR’s team several times a week and visits regularly the people involved in the programs. Rosa is married, has 3 children and 4 grandchildren. She works for AVANZAR as a volunteer and has supported several charity projects and initiatives in the past. 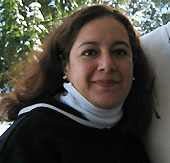 Marcela started working for AVANZAR in August 2012 as Director of AVANZAR Ecuador. She runs the foundation, creates and executes project work plans, and manages day-to-day operational aspects of the several projects AVANZAR has initiated. Marcela is a good example of a woman who manages to combine motherhood and a professional career. She successfully balances her responsibilities with a high level of commitment, effectiveness and warmth. After graduating with a degree in clinical psychology in 2005, Marcela was active in promoting social and human development projects. She worked for various social projects focusing on the protection of children, adolescents, and their families. She is convinced that a more equitable society requires the commitment of all. Her efforts are aimed at changing social and cultural patterns to eliminate any kind of marginalization that occurs merely due to factors such as gender, economic status, or other circumstances depriving disadvantaged people. Cristina received a degree in Textile Design and Fashion in 2014. She experienced and explored different areas of design (child, accessories, sports, men, etc.) showing interest in women's clothing design, image consulting, and as a personal shopper. Since February 2015, Cristina has been working at the foundation Avanzar as the Atelier's Designer and Coordinator. Her job includes all activities related to design, production, and export as well as coordinating the cooperation with knitters, artisans, craftsmen, and distributors. Cristina is a talented and warm person with a flair for design and people. My name is Catalina Morocho and I have worked with FUNDACION AVANZAR since January 2016. I am in charge of accounting and tax matters. I have been working in this profession for 21 years; I like it and am passionate about it. Along the way I have been accompanied by my husband and my three children whom I love very much. For me to work with the Foundation is not only a professional challenge but it also gives me great satisfaction to see how this institution and the people working for it contribute to helping so many women achieve their own economic and personal goals through their work. Melanie is 25 years old and she has been working as a Clinical Psychologist since 2015. She has worked in schools as well as a public medical center for disabled kids in Cuenca. Melanie has been working for the FUNDACION AVANZAR since November 2016 and is responsable for the coordination and development of the Ludoteca at the Vicente Corral Hospital. Melanie is very much convinced of the healing power that can be created through games and laughter. She loves to create an enviroment in which the hospitalized children can forget about their illness and have a fantastic time in our play room. I graduated from school with a degree in Accounting and Auditing in 2011 and have been working at the FUNDACION AVANZAR since June 2017. Previously, I worked for a private company active in the field of marketing. I have a 9-year-old daughter, her name is Melanie and she is my motivation and guide to move on in life. Working for FUNDACION AVANZAR is a challenge and a great opportunity for me to enlarge my know-how in the profession. Being able to help people makes me very happy. Naoko joined the Advisory Board of AVANZAR in November 2012. Naoko is an advisor, lecturer and author in the area of impact investments (microfinance, social entrepreneurship) and philanthropy. Her passion lies in promoting innovative social/business models that provide sustainable solutions to tackle poverty and to increase the effectiveness of resources utilized. 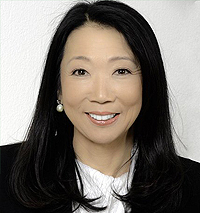 Naoko cofounded Socential Ltd, an online platform that connects donors and social enterprises and she serves on the Board of the Frey Charitable Foundation. Prior to her specialization in impact investments, she worked for 16 years in the financial industry. Born in Japan and raised in El Salvador and Guatemala, Naoko has been living near Zurich since 1988. Naoko supports AVANZAR in all aspects and in particular advising on their projects. 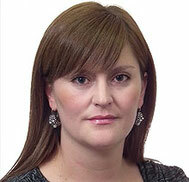 Monika Kern joined the Advisory Board of AVANZAR in November 2012. 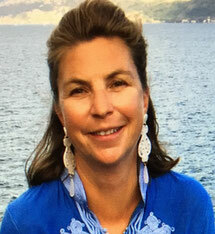 Monika is Swiss and has lived in Switzerland as well as England, the United States, Germany, and Geneva before moving to the Zurich area. She graduated from the Dolmetscherschule Zürich in 1992 with degrees in translation and conference interpretation. Since then, she has worked as a freelance conference interpreter and translator for various companies and organizations from many different sectors, in addition to negotiating the daily grind with her two teenage children and managing the „home back office“ for her family. Monika supports AVANZAR in different areas such as enlarging its network, updating its website, or increasing its publicity both in Switzerland and abroad. Florence Bachofen-Székely joined the Advisory Board of AVANZAR in September 2017. 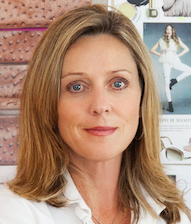 Florence is a fashion designer specialised in fashion luxury goods and leather goods and has long-standing expertise in accessory design and development. Her degree in Marketing SAWI and her extensive experience in design, art, and PR will help AVANZAR to improve its overall work. Before creating her own business, Florence has worked in the fashion business for many years. Her background with fashion school in Milan and working as a designer in Paris has marked her know-how. After 15 years of running her own accessory line FLO Accessoires, she will now support AVANZAR in particular with advice on the design research for each ATELIER AVANZAR collection, thus giving inputs to the design language and improving the quality of ATELIER AVANZAR products. Working as art director in fine jewellery refined her eye and ear. Only the best is good enough for her. Alexandra Shirin Gerecke joined the Advisory Board of AVANZAR in September 2017. Alexandra holds a degree in business administration from the Fachhochschule Düsseldorf, which she deepened during a further education program at Harvard University. Born in Germany, she lived in France, the U.S., and the U.K. before moving to Switzerland in 2006 with her husband and two daughters. Alexandra started her career at Karl Lagerfeld in Paris and worked in various marketing roles for The Estée Lauder Companies Inc. and Clinique International in New York and London. Today, she pursues several entrepreneurial opportunities in fashion and works with a range of charitable programs for the Order of Malta (SHOMS). 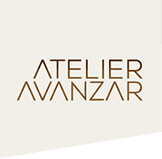 She has actively supported ATELIER AVANZAR in Sales since 2010.